Does your project call for stainless U-Bolts? 304 Stainless Steel ? 316 Stainless Steel? No matter the type or size of u-bolts that your project calls for, Lightning Bolt & Supply has 100,000sq ft of fasteners and u-bolts ready to ship. Sizing ubolts often time make people nervous for the fact that nothing measures 2 inches on a 2″ u-bolt. Once you understand that u-bolts are sized by the “PIPE” size they hold, things start to make a lot more sense. In addition, the diameter of the stock size is also important. Lastly, longer u-bolts (i.e. long-tangent u-bolts) can be a great fit for items that require extra threads. U-bolts are a type of industrial fastener most commonly known for securing piping in which liquids and gases flow. Their main function is to provide a clamping force to hold together two components. The U-Bolt, by no surprise, is shaped in the letter “U” and is threaded on both ends. The unique shape of the U-bolt helps provide an added amount of stability when securing piping or other material. Initially U-bolts were measured based on the size of the pipe that they were supporting – ex: a 2” U-bolt would support a 2” pipe. This is still a common way of identifying U-bolts, although a more precise measurement can be made by measuring the thread size, thread length, inside diameter, and inside height. 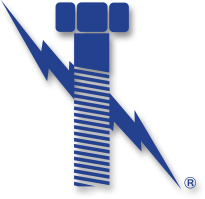 Although commonly thought of for securing pipes, the U-Bolt has proven to be very adaptable, and has various applications across a wide range of industries, including the automotive, construction and architectural industries. For example, they can be used as anchors for roofs and foundations, and support for frames, cables, and conduits. In the automotive industry, U-bolts are used for engine shaft component support. U-bolts have been proven to be a versatile industrial fastener. U-bolt plates, which are also kept in stock, are commonly used with U-bolts for further support. Here at Lightning Bolt and Supply, we stock a large selection of U-Bolts in a wide variety of materials and finishes. Among these are: Low grade carbon plated zinc, 304 stainless steel, 316 stainless steel, neopreme coated, and Hot-Dipped Galvanized U-bolts. Fig. 137 type U-bolts are a very popular item that we have IN STOCK. Why Lightning Bolt for 304 stainless u-bolts and 316 stainless u-bolts?